Whatever design you choose, add color to your overall landscaping scheme. It’s seasonal, it’s affordable, and sure to make your property a talked-about focal point in the neighborhood. Ever-Green can help! Whether you have a new home or business in need of post-construction landscaping attention, or you want to refresh that tired or overgrown appearance of existing landscaping, Ever-Green can help from start to finish. Set up a convenient time for an Ever-Green representative to meet at your site. He or she will discuss and help you find the look you desire your property to project. 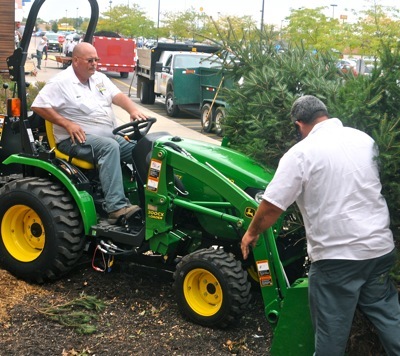 Ever-Green veteran Mike Brubaker (seated on tractor) has over 20 years of landscaping and grounds maintenance experience, residential and commercial. Our dialog will allow us to implement your ideas into an innovative design and enable our crews to fashion your very own signature look. While at your site, our staff may take photographs of the property to upload into our specialized software. Upon their return visit, they will be able to provide computer-generated graphics for you to view and from which to make your selections. Our landscaping services are available at properties of all sizes, from urban cottage communities to residential estates; from the small business on the corner to major factories, offices and institutions. You may have seen our trucks at Miller Lane, in Vandalia, Upper Valley Medical Center, or the University of Dayton. 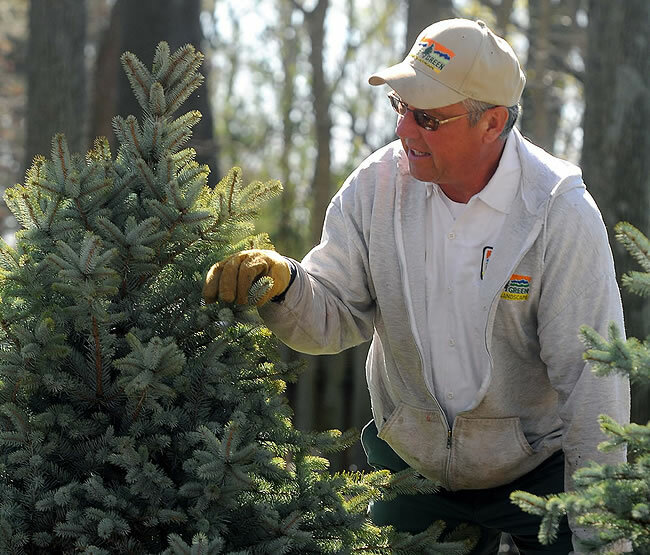 Ever-Green landscape professionals use only carefully selected, certified plants from registered nurseries. None of our plant material is ever purchased from department store garden centers. 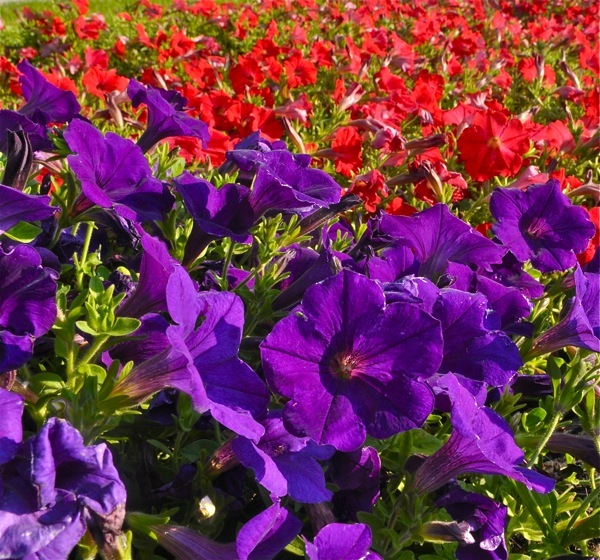 We specialize in outlining low-maintenance designs, using a wide variety of vibrant perennials and a unique selection of trees, shrubbery and ornamental grasses which will have your property bursting with color season to season. We confidently offer a full one-year warranty. Upon completion of the project, our staff will consult with the customer regarding plant care and maintenance. In addition, we are always available by phone to field questions that might arise in the future. Call today for an appointment with our professional staff. We look forward to hearing from you.